For those who don’t know, Ace Attorney is a series of visual novel games with the focus being solving cases in the court of law. 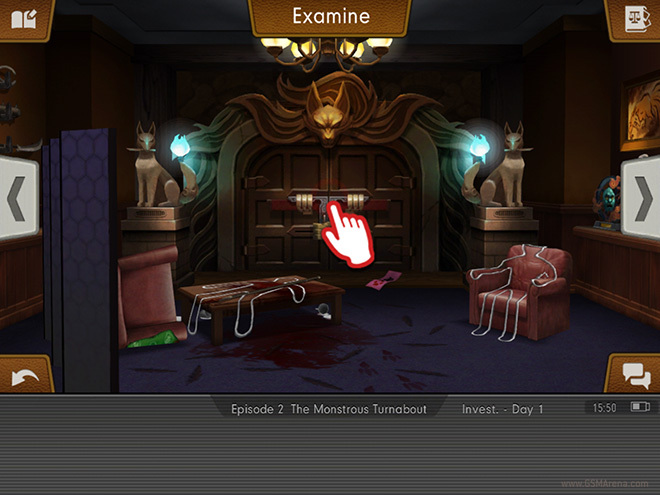 The latest release for iOS includes five episodes with a different case in each and several hours of gameplay. Let’s take a closer look at it. As mentioned before, the series is basically an interactive visual novel. Most of the gameplay is actually just reading; you’ll literally be spending 95% of the time reading text and tapping the screen to go to the next line of text. The game has a crime in each episode that you as a lawyer take up as a case. You talk to people to find out their side of the story and gather evidence to strengthen your case. You have your colleagues with you whom you talk with and who help you out during the investigation and the actual trials. When you talk to people, you pick up pieces of evidence that you can bring up later at key moments during the trial. At times you have to analyze a crime scene and observe everything so you can pick up maximum evidence for use later. Then there are the trials, which are the best part about the game and what it’s essentially all about. You have the arguments that happen back and forth between the prosecutor and you, the defendant. You get statements from the accused and then cross examine them. During the cross examination, you present the accumulated evidence during key moments when you think the person is lying and you can prove otherwise. You have to choose the right evidence at the right time, which is where the challenge lies. Fail to do so and you lose some points. 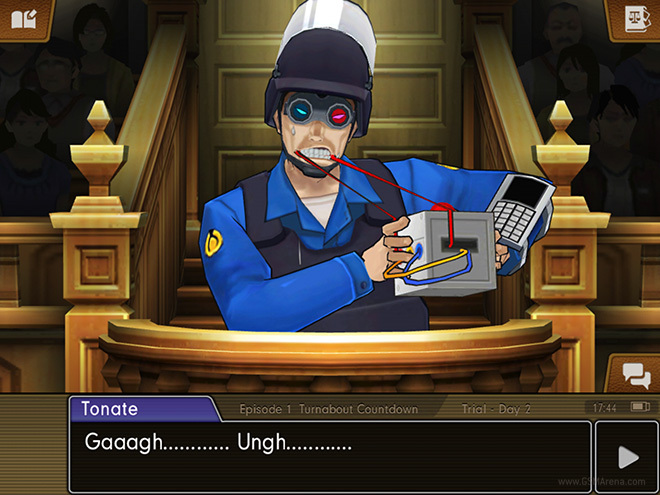 If this happens too often, you stand to lose the case. 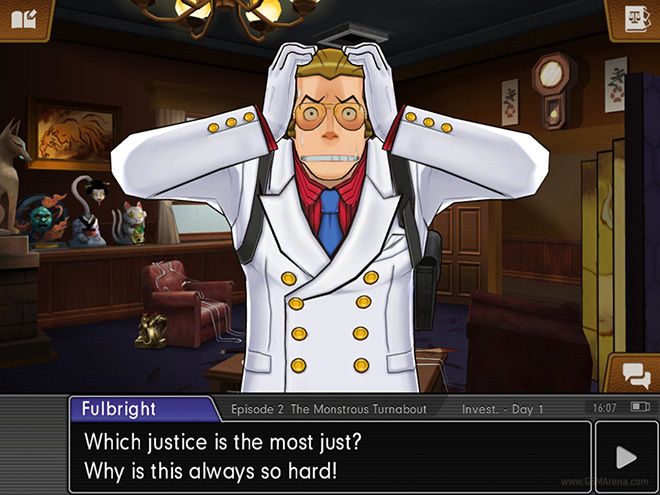 Usually, the game tells you at the beginning of the episode who the real criminal is, so there is no real mystery to you as such. It’s just that the other characters in the game are in the dark and find out who did it in the end. I wish the game kept that information away from you, as it would have made the proceedings more interesting and you wouldn’t be going towards a conclusion that you are already aware of. Nevertheless, I was thoroughly entertained by the game. There is tons of text to read through and it is presented in short snippets as the characters would say it, with matching animations for the character above the text. Sometimes, tapping on the screen feels a bit tiring, especially when the characters are just going “………..” at times but usually the script is very good and the court sequences in particular are hilarious, so it doesn’t seem like a chore. 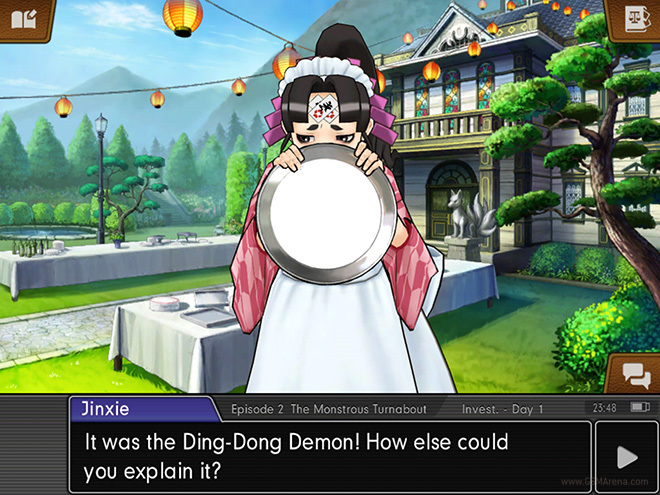 For a 3DS game, Dual Destinies is very well ported and could fool anyone into thinking the game was made natively for iOS. 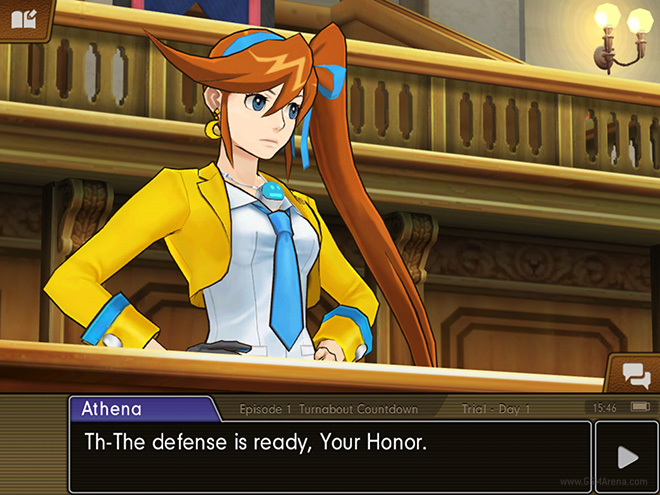 Unlike the trilogy that came before, Dual Destinies has proper touch controls and scales properly to the display, with all the controls being optimized for the one touch screen on iOS from the two displays and physical controls present on the 3DS. 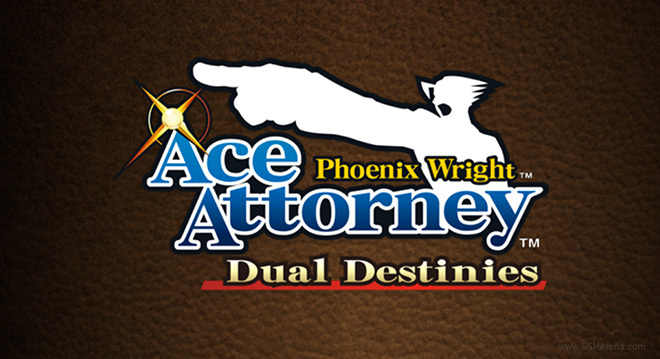 As mentioned before, Dual Destinies is a port from 3DS. To clarify, 3DS has about the same resolution on its bigger display as the first three generations of the iPhone, so porting a game to a platform where the maximum resolution is 2048×1536 was always going to be tricky but if you actually look at the game you’d be amazed at how well Capcom has managed scale the game for the Retina displays on iOS. Even on the iPad, the game actually looks very good and most of the time you would have no idea the game is a port and not a native release. Along with the 2D and 3D elements, the game also has the occasional fully animated cutscenes, that too look very good. I loved the music in the game too. There is not much in terms of voice acting in the game since there are hardly any dialogues but there is a lot of music playing in the background and thankfully all of it is very good. The music keeps changing depending upon the location and mood of the game and it is always appropriate. The little sound effects you hear also quite amusing. It’s hard to recommend visual novel games to everyone. They are not like your usual games and some people might be put off by all that reading, with little to no traditional gameplay elements. 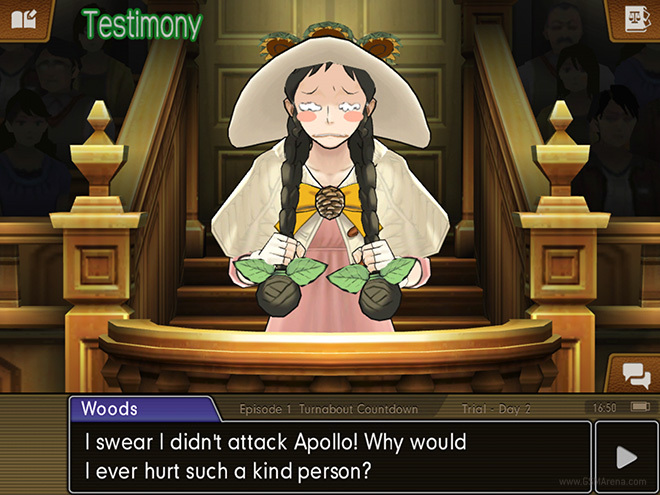 But even though I’m personally not much into this genre, I absolutely loved Phoenix Wright: Ace Attorney – Dual Destinies. 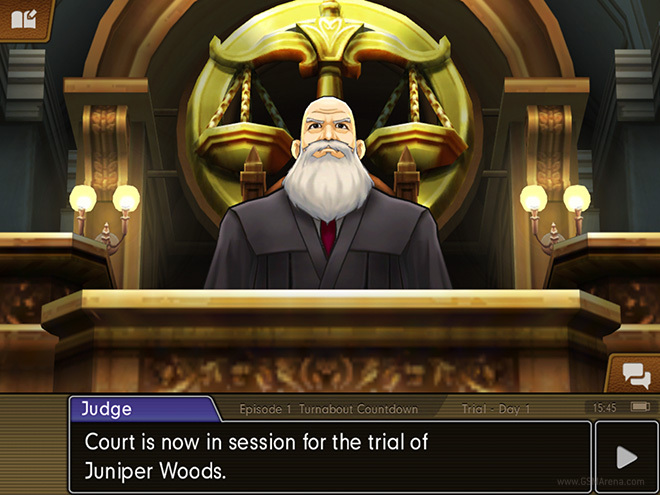 The court sequences are incredibly entertaining and often absolutely hilarious and the process of cross examining people is also quite exciting. Sure, there is a lot of reading involved, but that’s what this genre is all about the script is usually quite entertaining, with likable characters. Overall, I would definitely suggest giving the game a try. The first episode is free and if you like the game you can choose to purchase the rest of the four episodes individually for $4.99 each or all together at a reduced price of $14.99. Do check it out and I’m sure you’ll love it.